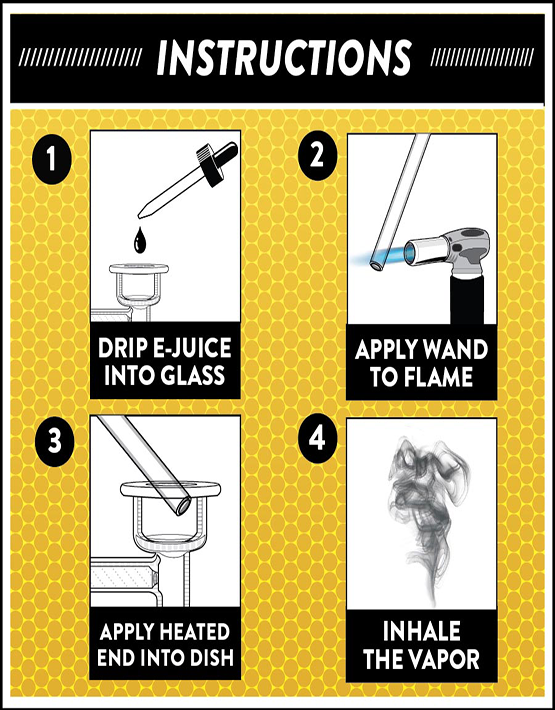 We design and manufacture high-quality scientific glass smokeware, while the HEADDIES® DabVac is universal and works with all water pipes, the 22karat gold labels and overall design is meant to compliment our signature line of HEADDIES® tubes. 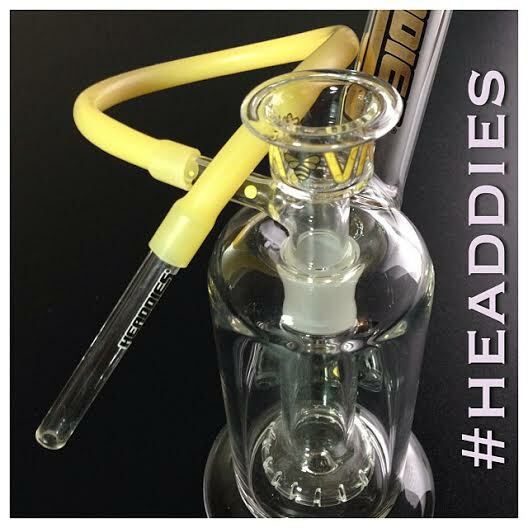 The HEADDIES® DabVac™ is the next step in the evolution of collecting your concentrates. The antiquated ways to do so include the dome, domeless, and electric nail. The nail dome may have paved the way but there are too many steps involved in a process that inevitably ended with a stuck dome that eventually cracks when trying to remove it. With the DabVac you only need to heat the tip of the glass or titanium wand. This allows for very little waste and you don’t get that leakage as you do with the domeless or nail. The holding chamber is perfect for either a quick pull or party time with friends. We use only Schott glass for its legendary quality and, as always, the HEADDIES® DabVac™ is designed and made in America. 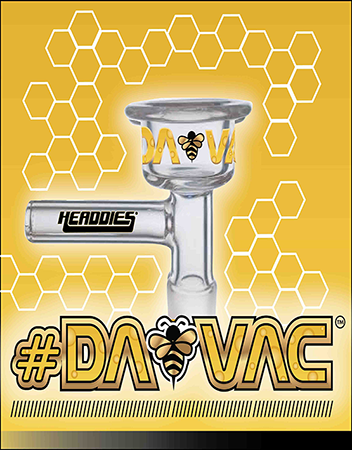 The HEADDIES® DabVac™ is now available in stores across the country and on several of the major online retailers. Stay tuned for announcements regarding new DabVac™ products and accessories.